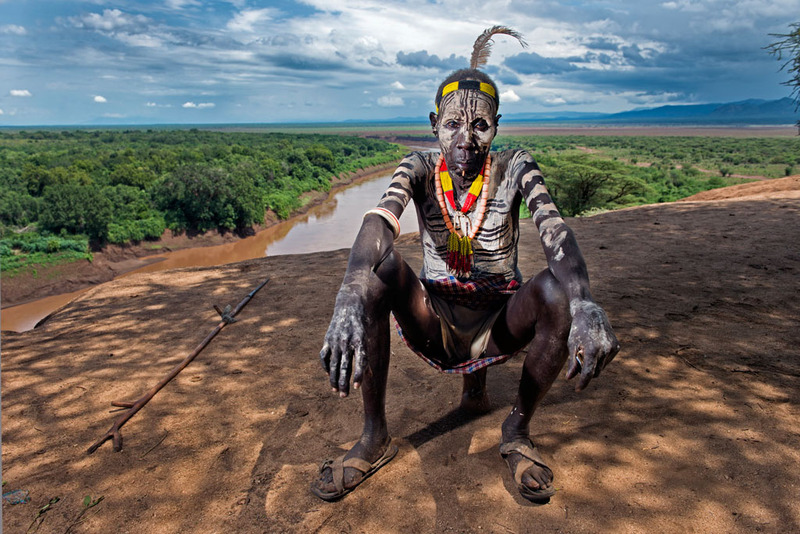 Near the Ethiopia-Kenya border the Omo river carves serpentine oxbows as the countryside flattens, and ribbons of forest appear along its banks. 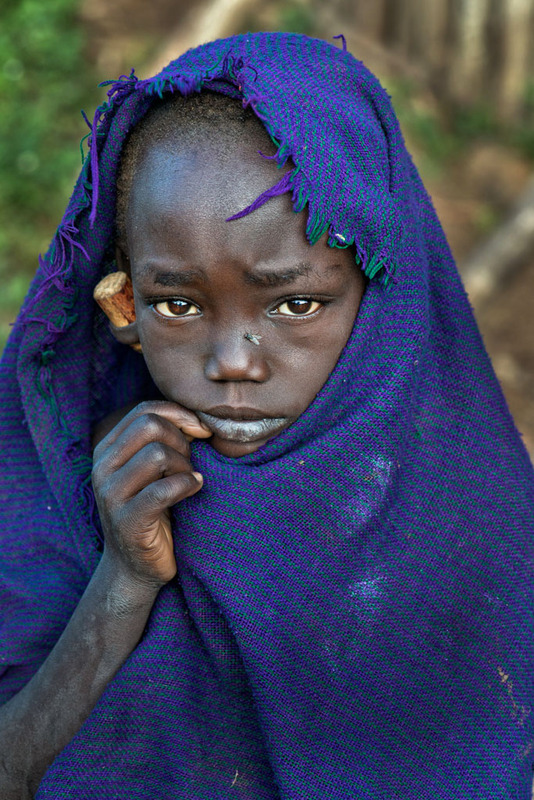 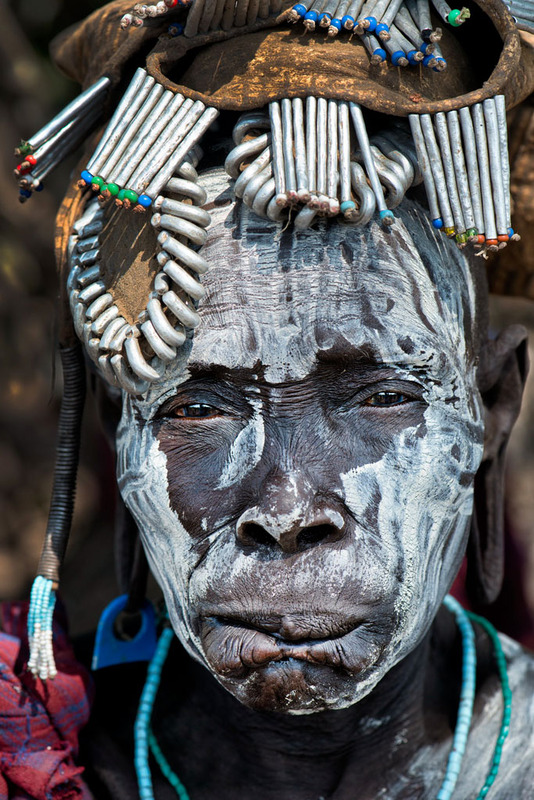 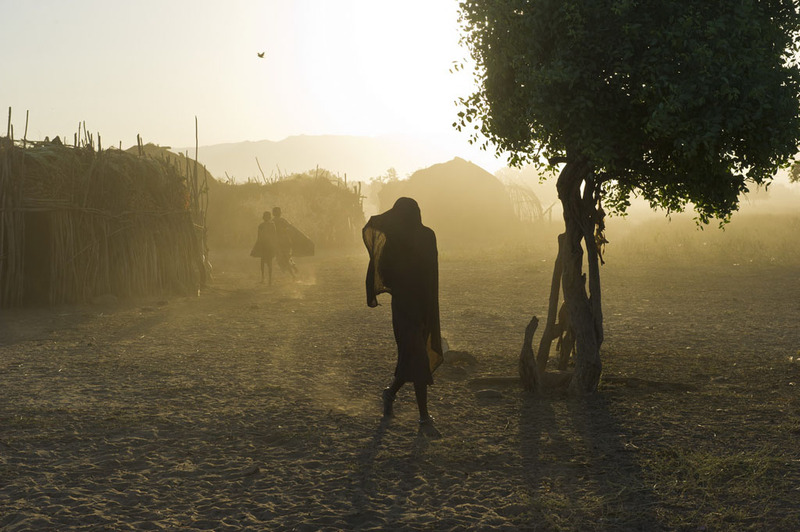 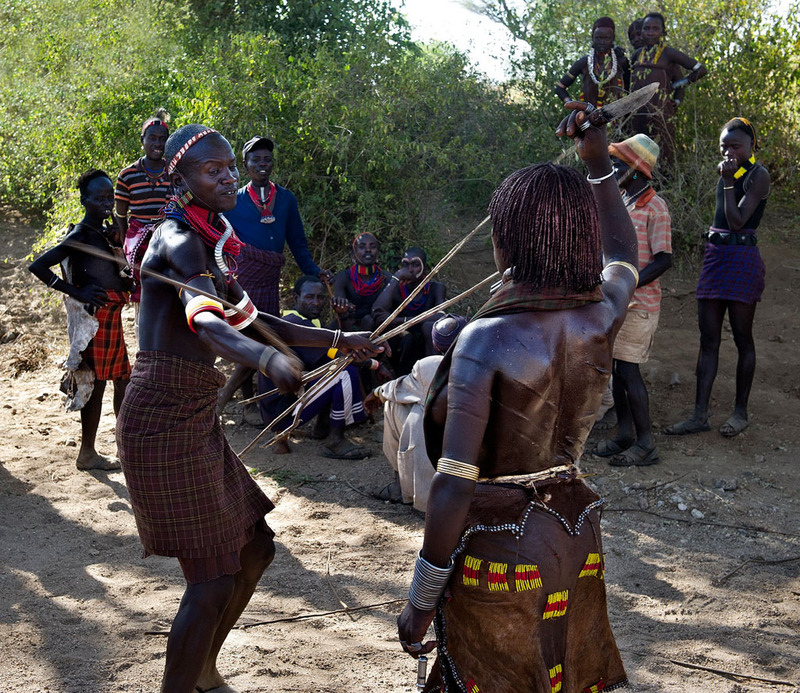 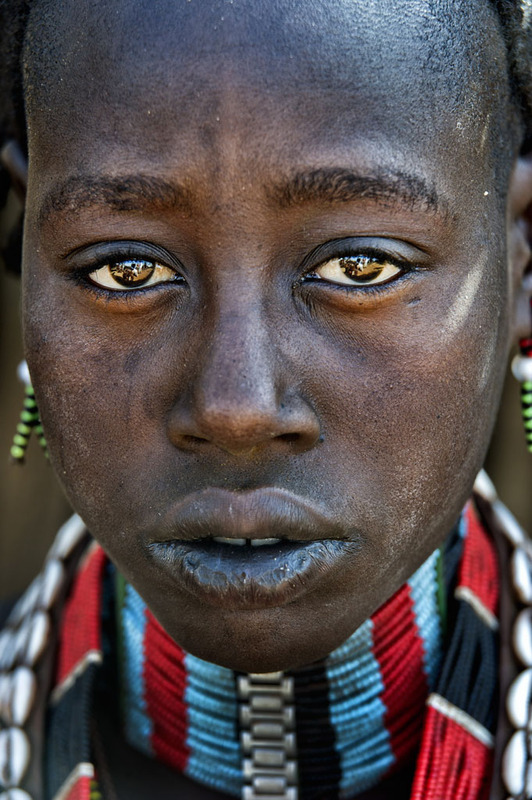 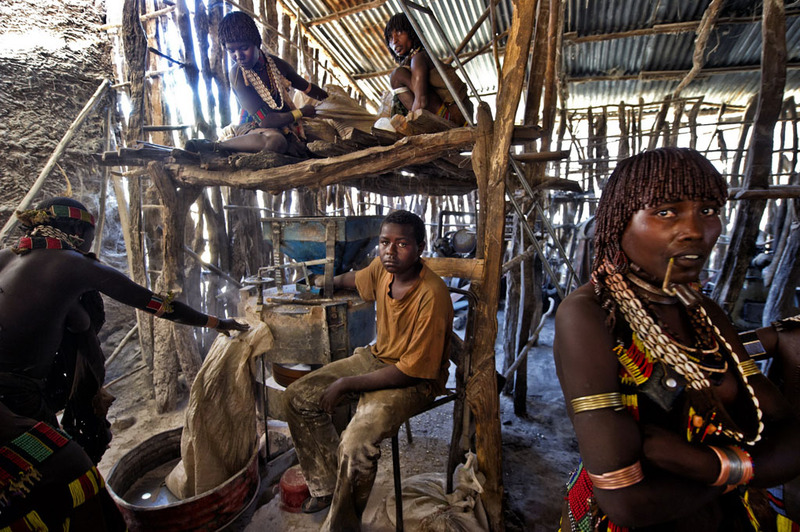 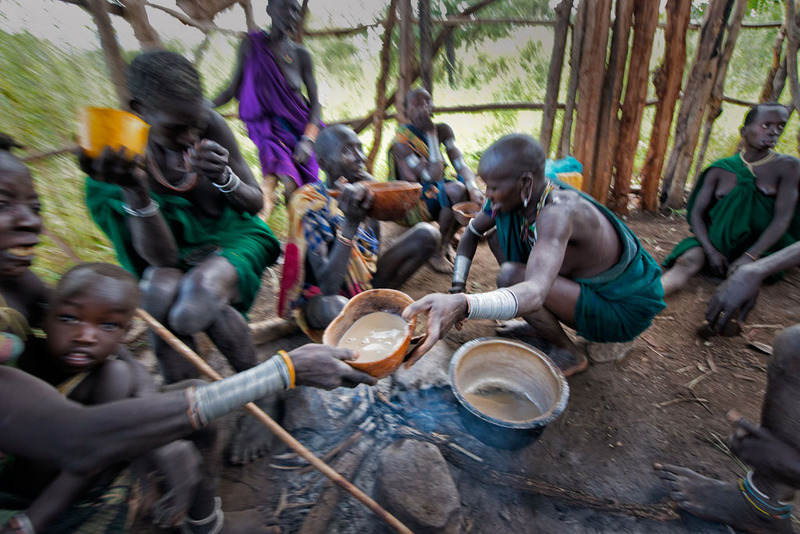 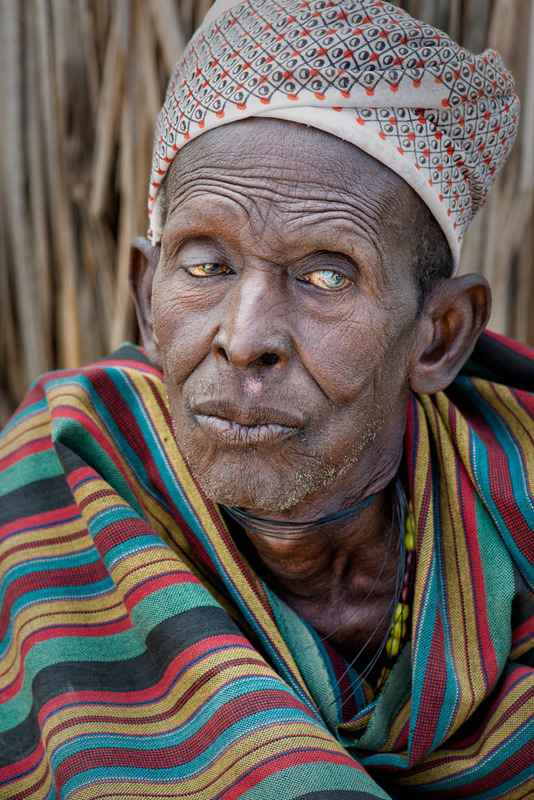 The landscape grows thick with tribes, including the Kara, Mursi, Hamar, Suri, Nyangatom, Kwegu, and Dassanech, a population of roughly 200,000. 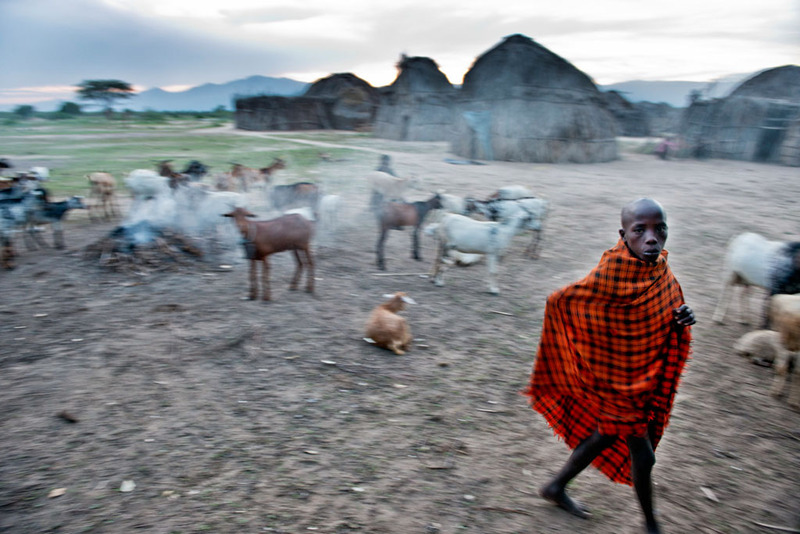 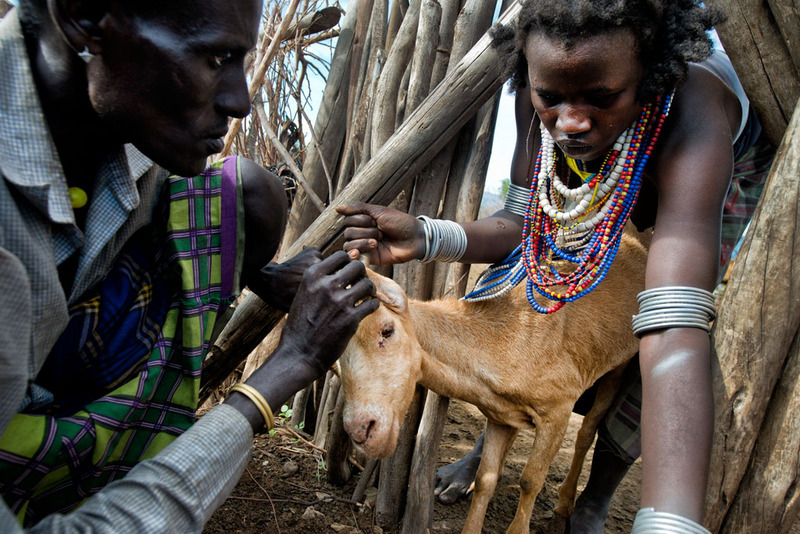 Cattle and goats are a family’s most meaningful possessions here, but it is the crops, nourished by the Omo River, that sustain the people. 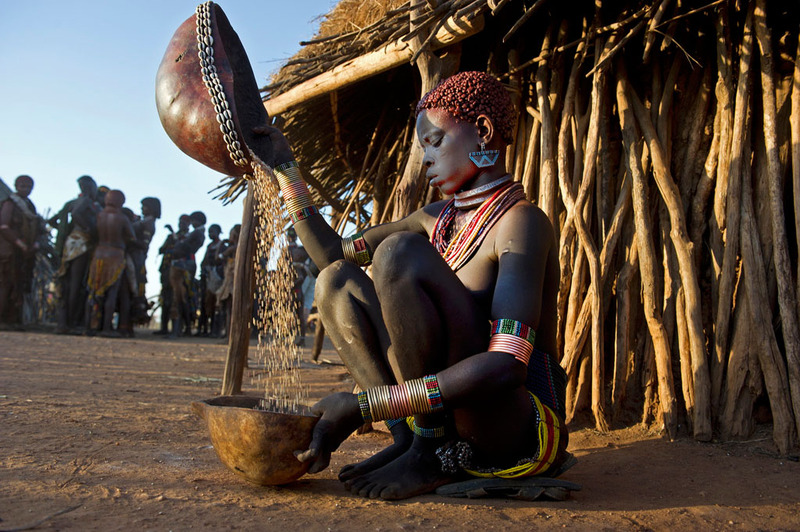 After the Omo’s seasonal floods soak and replenish the riverbanks, farmers pierce the dark mud with sticks and drop in seeds of sorghum or corn. 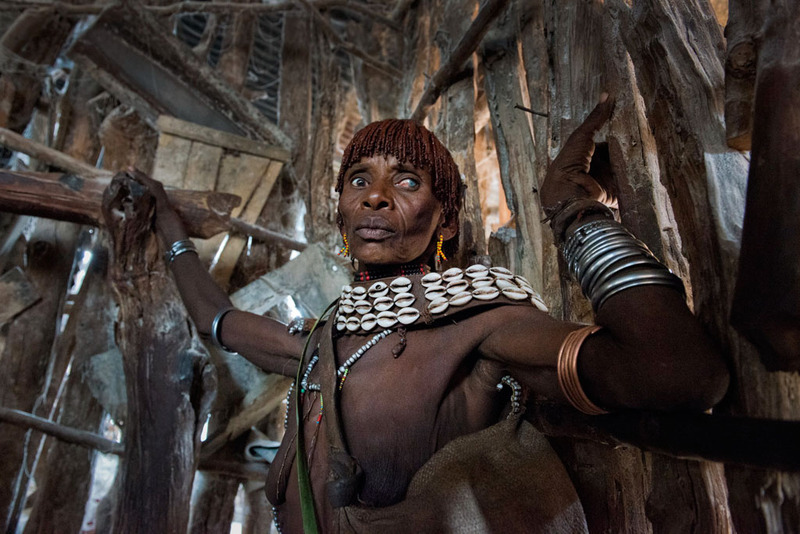 If the floods are meager, the harvest is poor, but the system has kept the tribes here for a long time. 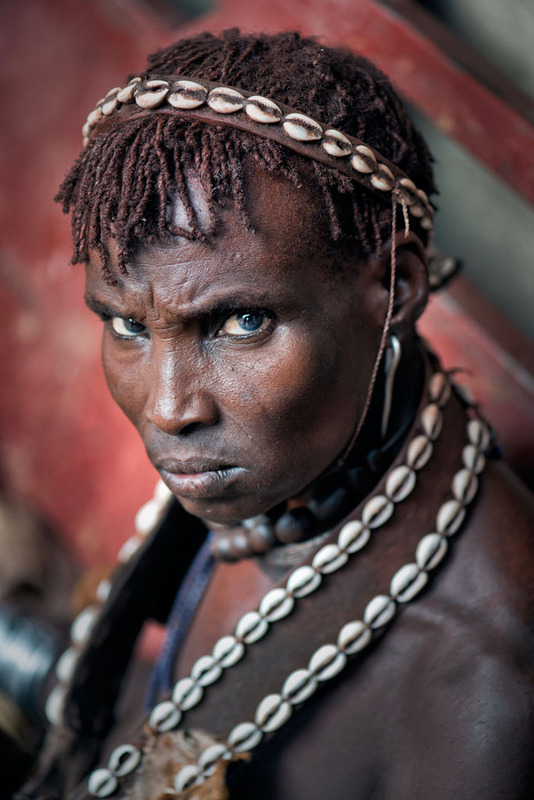 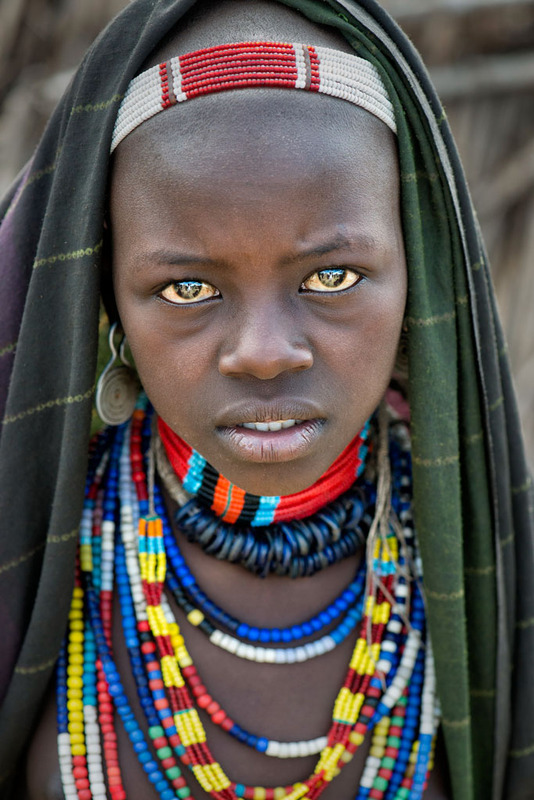 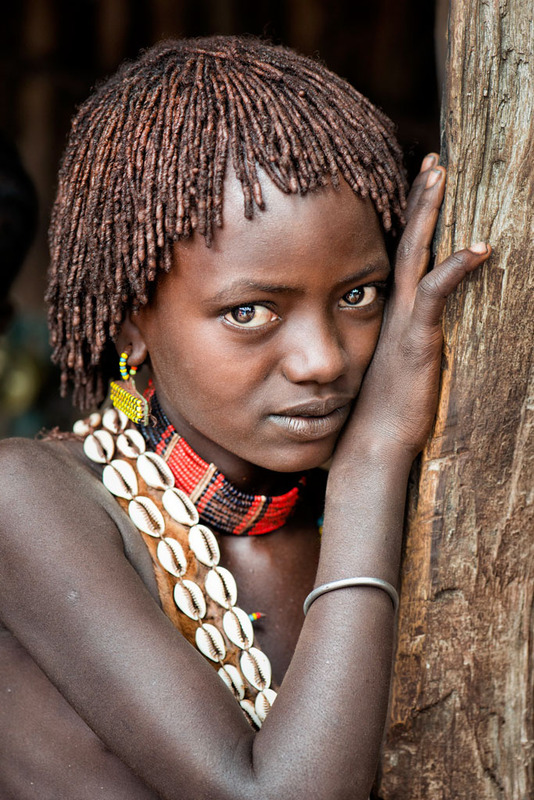 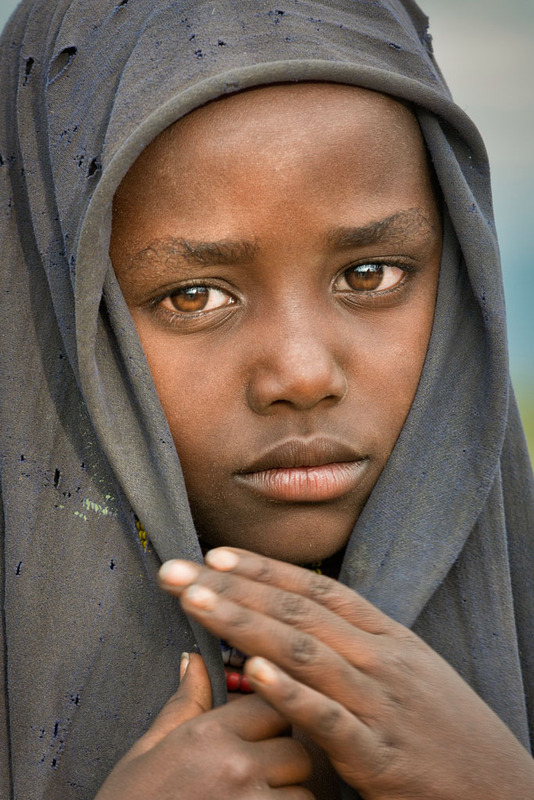 For generations the tribes of the Omo were shielded from the outside world by mountains, savanna, and by Ethiopia’s unique status as the only African nation never to have been colonized by Europeans. 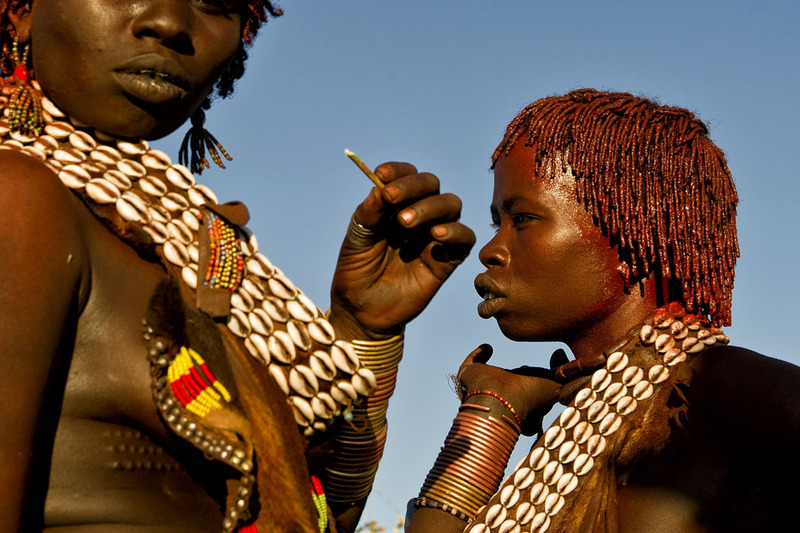 In the late 1960s and 1970s, anthropologists began recognizing what that meant – people living near the river had largely escaped the colonial blundering and conflict that shredded other societies. 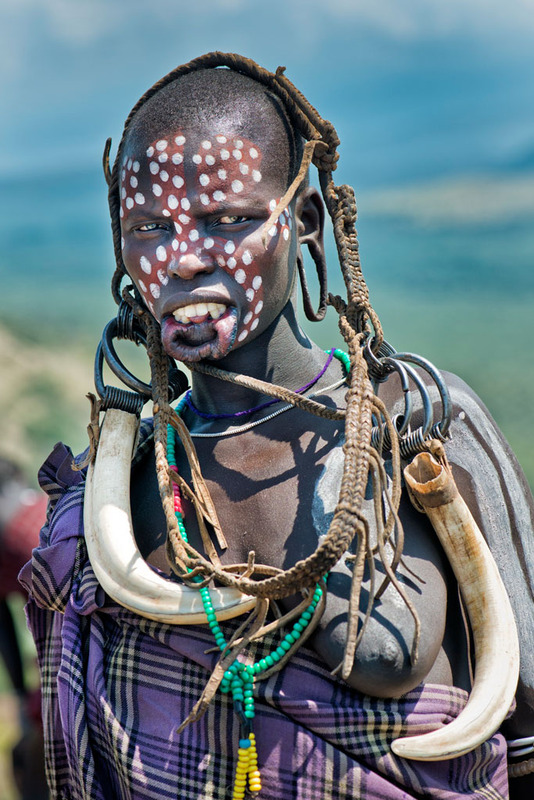 The tribes remained intact, migrating, warring, and making peace in ways that had vanished almost everywhere else. 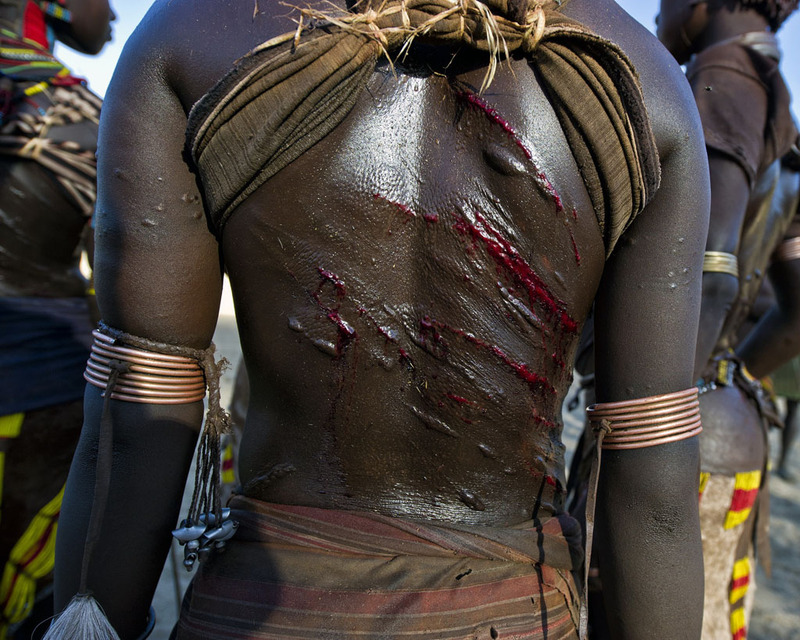 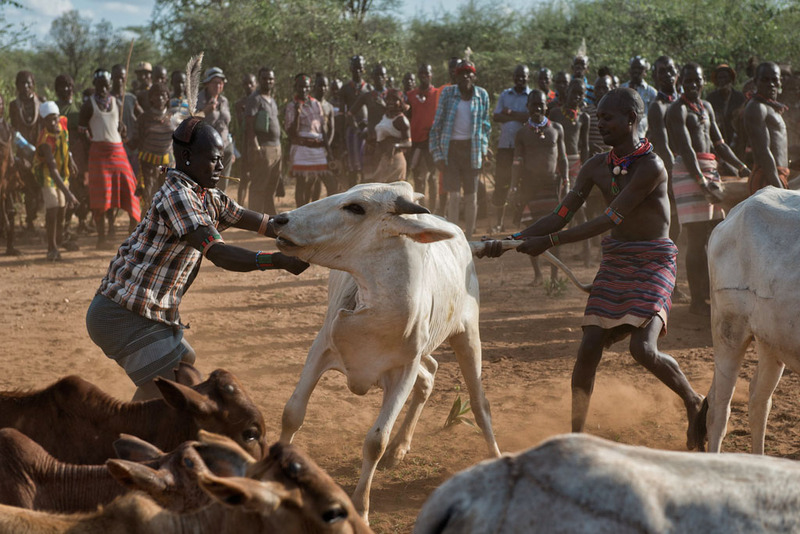 There is still the Hamar ritual in which women demand to be whipped until they bleed, and there’s the cattle-jumping initiation rite, in which boys run along the backs of cattle to prove they are ready for manhood. 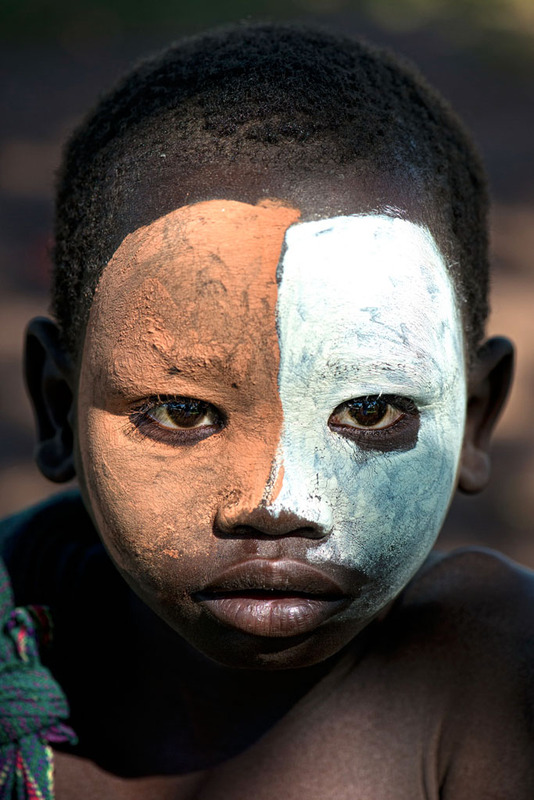 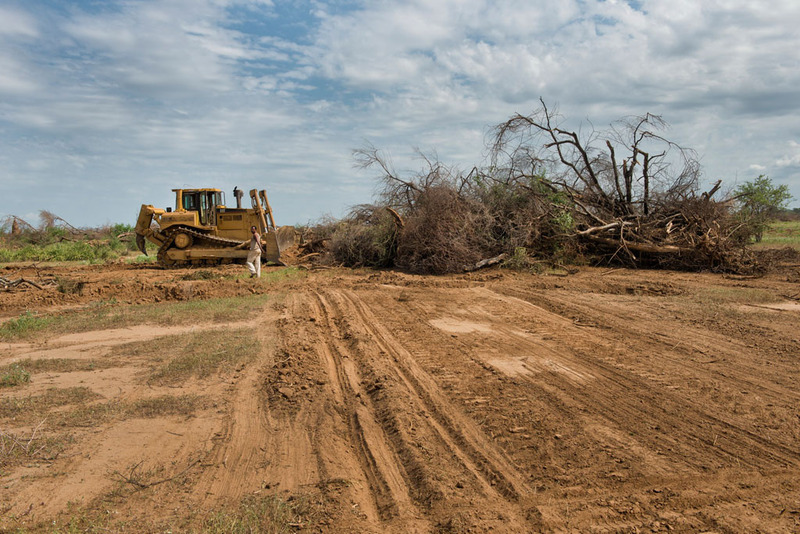 But the Omo region, still one of Africa’s most intact cultural landscapes, is changing. 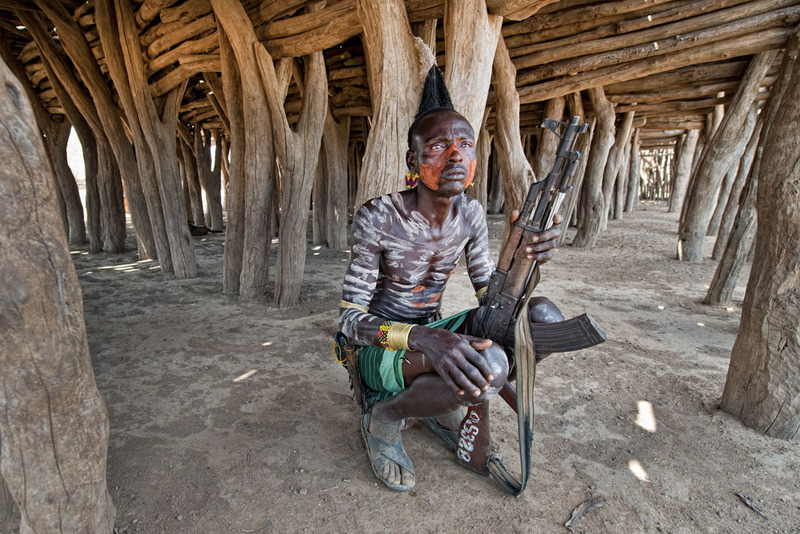 The big game are mostly gone, hunted out with automatic weapons that flow in from wars across the borders in Sudan or Somalia. 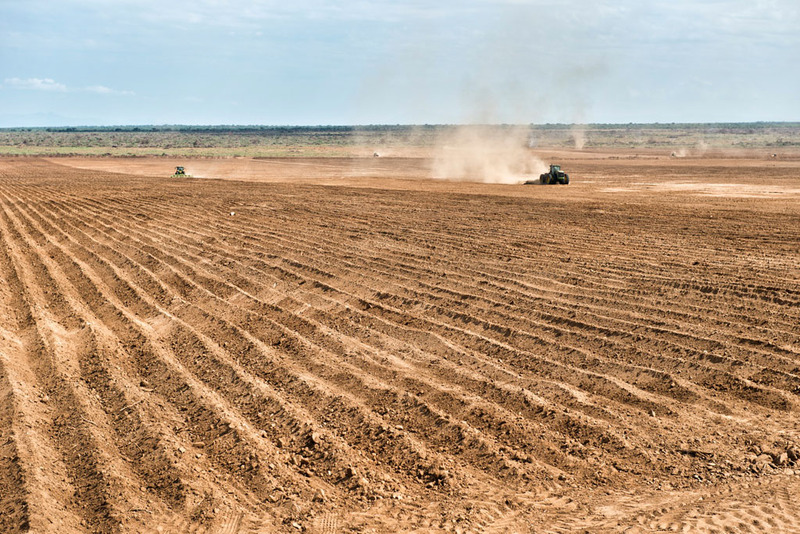 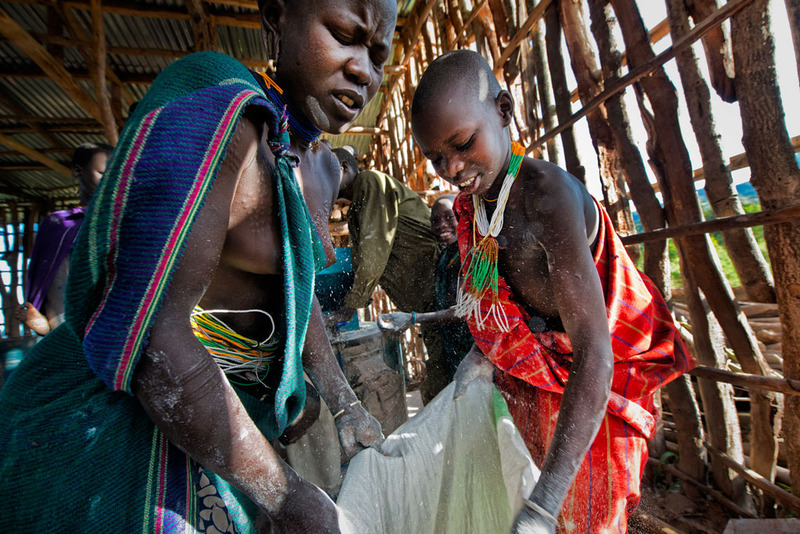 Aid organizations deliver food, build schools, and plan irrigation projects, all of which make life more stable but inevitably change the way it has long been lived. 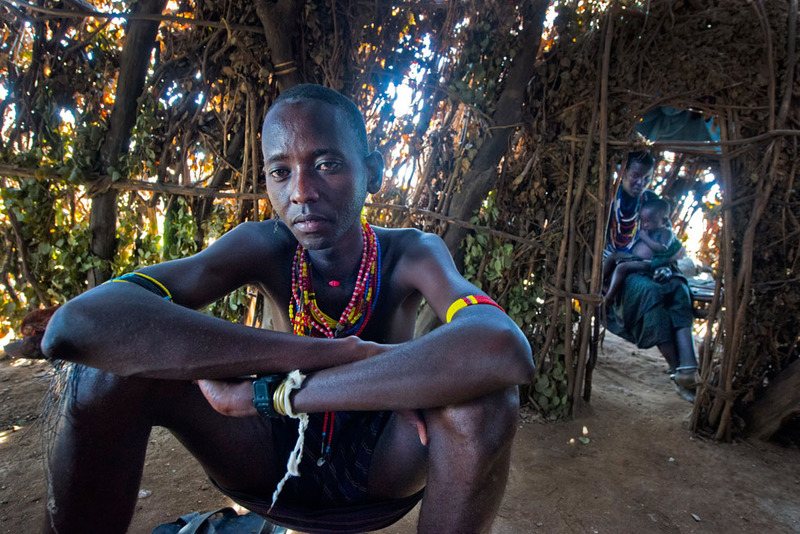 The government, which for generations essentially ignored this place, now works to modernize Omo tribes, and some officials speak as if timetables have been drawn up describing exactly when and how the old ways will be replaced.